Sheldon Margulies, M.D., a retired neurologist, understands how the brain works. This includes how we learn, how we focus our attention, how we retrieve information, and how emotion and motivation affect learning. 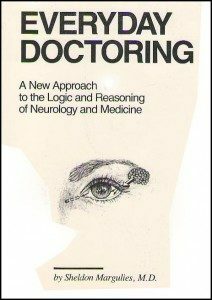 Dr. Margulies attended law school, taught neurology to over 2500 medical students and residents, and authored three educational textbooks. Throughout his career, he has honed his teaching skills and is now applying them to improve the way science is taught. He hopes to inspire our youth to pursue careers in science. Dr. Margulies graduated from the University of California at Berkeley in 1966, and Stanford School of Medicine in 1971, completed an internal medicine residency at McGill University in 1973, and completed a neurology residency at the University of California, San Francisco in 1976. In 1988, he graduated from the University of Baltimore School of Law. Dr. Margulies has been an Assistant Professor of Neurology at the University of Alabama and University of Maryland, and a Clinical Assistant Professor at Johns Hopkins Medical School, the Uniformed Services Medical School, and Howard University Medical School. Dr. Margulies is also an inactive Maryland Bar. He has written three educational textbooks, Everyday Doctoring: A New Approach to the Logic and Reasoning of Neurology and Medicine (1986), Learning Law (1992), and The Fascinating Body: How It Works (2004). Learning about the human body can be both fun and informative with this thorough and delightful explanation of how the body works, and how to keep it working. 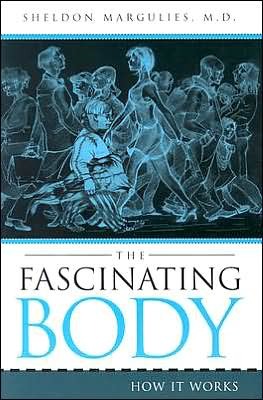 By asking questions about everyday experiences and observations, and explaining the answers in plain English with clear illustrations, Dr. Margulies has the reader racing from question to question to discover the body’s amazing functions. Everyday Doctoring explains the anatomy and physiology of the human body with an emphasis on the brain and the nervous system. Everyday Doctoring then tracks the logic doctors use to take a patient’s symptoms, ask further questions, look for abnormal signs on physical exam, and construct a list of possible diagnoses to explain the patient’s symptoms. For more information, please click here. 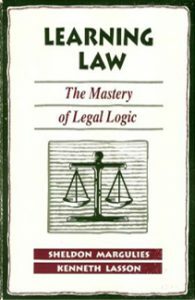 Being a lawyer requires understanding the process of the law — a mastery of legal logic — rather than knowing masses of substantive material. Authors Margulies and Lasson explain legal logic to readers in a concise and analytic manner. Flow charts give a clear overview of the process, allowing students to understand how and where every issue fits. Also included are brief summaries of various areas of law. Finally, model questions and answers from past bar examinations illustrate the steps outlined in the book. A careful reading of the text should demystify the law school curriculum and offer a clear approach to solving legal problems. A reviewer describes Learning Law as “the book to take with you to law school.” Learning Law provides a useful conceptual framework for beginning law students or third-year students beginning to review for the bar exam. For more information, please click here.